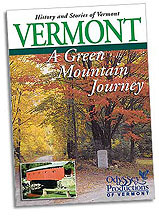 xxxOur most popular DVD takes six trips throughout the state to small towns, covered bridges, and historic sites. 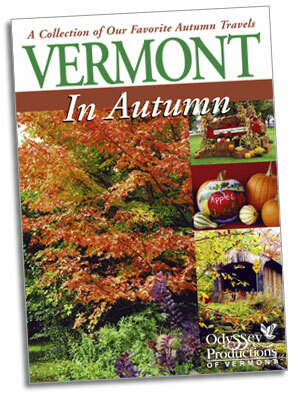 You’ll take a trip through Smuggler’s Notch, hear tales of smuggling on Lake Memphremagog, watch elk and snow geese, and see cider being made, all wrapped in Vermont’s famous autumn foliage. 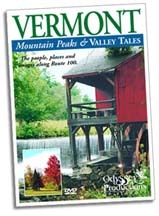 xxxTake a journey with us as we recount Revolutionary War tales, chronicles of early settlements, the Morgan horse, skiing, railroads, and making maple syrup, all through the spectacular four seasons of Vermont. xxxA trip on beautiful Route 100 running along the Green Mountains, up the center of the state, past villages, ski areas, and museums. 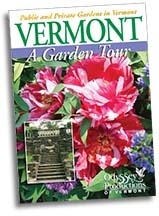 xxxRoses, peonies, daylilies, and lilacs show their faces in some of Vermont’s most beautiful public and private flower gardens. Sit back and enjoy your own private tour of formal gardens, hidden gardens, stone gardens, a model railroad garden, and much more.